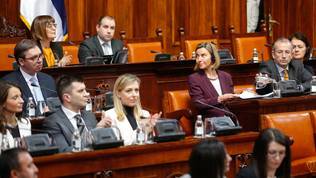 There is some good news and some bad news for the Western Balkans in the past few weeks. The good news is that the European Union has finally come to realise that there is something rotten in the Balkans and has matured to a change in the narrative. The bad news is this is too late and too little. For months the region has been shaking in instability and so far just verbal conflicts, which are raising the tension to the levels of prior to the bloody disintegration of former Yugoslavia. Macedonia is imploding into a severe political crisis, which has the potential of becoming an inter-ethnic conflict, the tension between Croats, Serbs, and Bosniaks in Bosnia and Herzegovina has risen dangerously together with inflammatory rhetoric, unilateral provocative actions, and claims that Dayton is dead; Serbia is in a constant election campaign with the price constantly on the rise, thus emitting signals that inflame old wounds across the region. In addition, the campaign has a heavy geopolitical twist as well. Montenegro is desperately trying to reach the NATO shores, but the long arm of Russia is trying to pull it back into the Russian sphere of influence through brutal interference in its domestic policy. Kosovo is a victim of its relationship with Serbia and the inability of its politicians to work in their nation’s best interest. Albanian politicians have finally realised what they need to do in order to walk out of the blockade that they themselves pushed the country in, but they got carried downstream by the geopolitical current. So, for the first time in the newest history of EU enlargement the European Council closed the year with no conclusions about candidate states. The overall global sense of insecurity is being felt much sharper in a region, which bears the label “powder keg” by no coincidence. Tension in the region has first been noticed by the European Parliament, where Slovenian MEP Ivo Vajgl (ALDE) requested that a special debate were held in the foreign affairs committee, but it was conducted without the participation of key players. 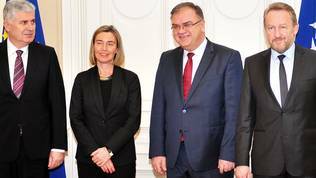 The wind of change came with the tour of the High Representative of the European Union for Foreign Affairs and Security Policy Federica Mogherini (Italy, Socialists and Democrats) through the six Balkan states in the beginning of March. Federica Mogherini’s goal was sending a few otherwise very important messages to the six countries, but her trip turned out to be a clash with reality and sobering up to the true problems these countries face. 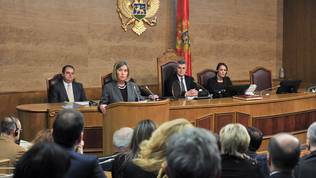 In Montenegro, her invitation to a debate was disregarded by the opposition, led by the Democratic Front, which has Russia’s support. In Macedonia, her conversation with President Georgi Ivanov was long and hard, for she had to explain simple facts about what is democracy and convey a message by NATO boss Jens Stoltenberg in a similar spirit; in Serbia, on the other hand, her speech in the Skupština was accompanied by incessant shouts by Šešelj’s radicals in support of Russia and against the EU. The shouts did not cease for a full twenty minutes. The former Italian foreign minister dealt with it well undermining the performance by reminding that having been a member of the Italian parliament she is quite used to such scenes. Moreover, she said, such things are normal in other EU member states as well. “Maybe some of my interlocutors today in parliament were not ready to face the fact that I was ready to manage political relations in a complicated environment”, she said later at a joint press conference with Prime Minister Aleksandar Vučić, who was apologising profusely on behalf of Serbia. 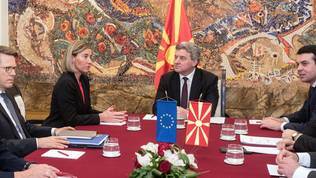 Following her return from the Balkans tour Federica Mogherini admitted that for the first time she had realised the extent to which this region is exposed to various challenges and tension. “The Balkans can easily become one of the chess boards where big power game can be played”, she said following her report on the trip’s outcome to the EU foreign ministers. She also said that she is concerned about developments there, but at the same time expressed hope that a favourable outcome is still possible. “Yes, I came back from the Balkans worried in some cases but also full of optimism and hope because whenever you meet students, the citizens, civil society but also so many political and social forces in all the region you see the enormous support and trust in the EU”. A sizable count of ministers also expressed concern about developments in the Balkans and even admitted that over the last few years the EU had practically pulled out of the region and the vacuum is being filled by other powers. Croatian Foreign Minister Davor Ivo Stier stated that the EU needs to get more committed to the Western Balkans. He was fully concentrated on explaining to his colleagues how serious the situation in BiH is and how important it is that leaders in the country be encouraged to commit to amendments to the election code by June. “The situation in the Western Balkans is such that it requires a much more pronounced commitment by the EU. There was also talk about having states outside the EU increase their presence over the last few years. It is important that the South-Eastern Europe region is not a territory of conflict, but of cooperation”, were the words of the Croatian minister, who avoided naming Russia, despite a journalist’s concrete question. His French colleague Jean-Marc Ayrault expressed his concern about developments in the region, especially after last year’s regular meeting with the six countries in Paris in the framework of the Berlin process, which, in his words, was very constructive. He believes there is a possible risk of escalation, keeping in mind, however, that the region is in an election period. He urged for being moderate and constructive. The most critical was Slovakian Foreign Minister Miroslav Lajčák, who is a former EU representative for BiH. “Everyone pointed out the fact that recently the EU has abandoned the region and the result we see is a weakening of pro-European forces in those states and opening up space for other players, which is not normal”, he said following the foreign ministers’ meeting in Brussels on March 6. Lajčák added that the ministers agreed it is necessary to bring back trust in the enlargement process. “I do believe that this will have a clear effect on the region through our political presence, through having the process be less technical and more political, through us ceasing to pretend we are offering a European perspective and the states pretending they are seriously committed to reforms. And we start being serious with each other”, urged Slovakia’s top diplomat. Ministers hailed the change in rhetoric which Federica Mogherini suggested. In the capital cities of the six Balkan states she explained that she does not like the term “enlargement”, but prefers the term “reuniting”. Another message she sent out was that the EU is what it is now because member states have chosen cooperation after World War Two, instead of confrontation. Her third and very important message was that her visit right after the presentation of the White paper on Europe’s future by Jean-Claude Juncker (Luxembourg, EPP) represents a wish for including the Western Balkans in this debate. Something euinside has called for in many articles. A conclusion can be drawn from her visit that in a way she has given up on Balkan politicians, so she was focused on getting her messages through to the young people and civil society. In her speeches in front of university students she sent out an appeal to the young generation and the civil society to cease being patient and tell leaders what they want. “No, I am not calling for demonstrations, not at all”, she said, but reminded during her lecture in the University of Tirana that young people are not only the future, but the present as well. She sent out similar messages in the rest of the countries. Federica Mogherini reminded that often the feeling is created that the process of European integration is being driven from the outside, by Brussels, by the institutions, but in fact it is a mutual choice. Brussels does have things to change, but countries of the Western Balkans too have a lot to do in order to become a society, to build institutions, independent judiciaries, to introduce the rule of law. “And it is a path that we walk together. It is about shared decision and a shared journey we do together”, she said. The EU foreign ministers have approved the change in approach and narrative. In its conclusions, the Foreign Affairs Council placed an accent on the need for a more serious approach to the region’s population through public diplomacy, a better clarification of the benefits of the European way, namely the rule of law and transforming societies in an economic and social sense. 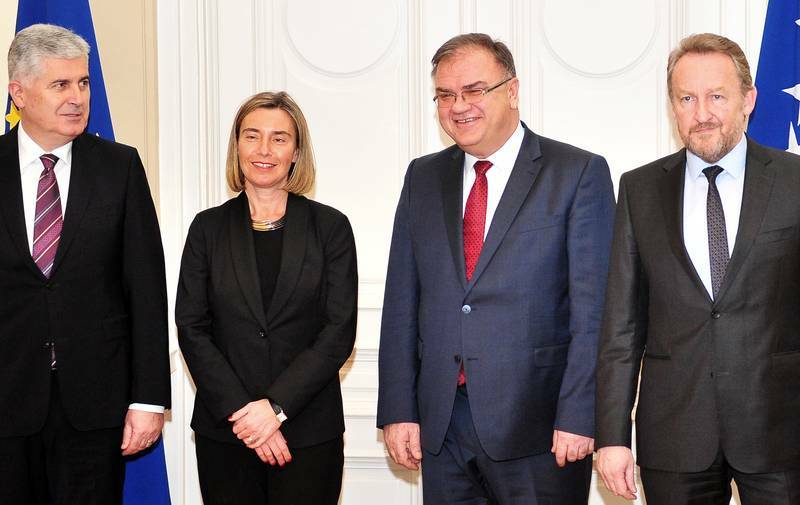 The Western Balkans subject made it on the agenda of the EU spring summit, held on March 9. Leaders of the 28 member states discussed the issue over dinner. This is news by itself, only showing how deeply involved the EU is with developments in the Western Balkans region. In a way it also explains why the leaders’ message was a lot softer and more general. As weird as it may sound, the most engaged leader with this subject was British PM Theresa May, who stated prior to the dinner that she intended to share with her colleagues the extent of the danger of increasing instability in the region, which represents a risk to “our collective security”. She also stated that she will call upon the international community to do more about fighting organised crime in the region. Theresa May paid special attention on Montenegro in the context of the failed coup d'etat attempt in October. “I will call for us to do more to counter the destabilising Russian disinformation campaigns and raise the visibility of the Western commitment to this region”, was the adamant stance of the prime minister of a country, which is expected any day now (March 29) to commence negotiations for leaving the Union. In this sense, there is one more message Federica Mogherini conveyed in the six states that needs noting. She assured that although Great Britain is about to leave, the EU will not stop at 27. Theresa May backed her words with concrete actions by stating that the next summit, dedicated on the Western Balkans, will be held in Great Britain in 2018. This year the host will be Italy. According to European Council President Donald Tusk, the situation in the region is out of control, partly due to “unhealthy external influences, which have been destabilising several countries for some time”, he said prior to the start of the Western Balkans debate. Following their conversations, defined by many as being of high quality and constructive, leaders came up with a declaration, which is considerably below expectations. In a few sentences it says that the region is unstable, that it is important to continue on the road of reforms and good neighbourly relations and regional cooperation. At the end, it reaffirms the European perspective of the countries of the region. European Parliament President Antonio Tajani (EPP, Italy) stated that the region needs more Europe and a stronger commitment to political and Economic cooperation. European Commission President Jean-Claude Juncker in turn had to answer the uncomfortable journalist question about his 2014 statement that there will be no further enlargement within the duration of his term in office. “I don't think this was a mistake, when I announced back in July 2014 that there will be no enlargement during the mandate of this Commission, because, as a matter of fact, no candidate country is ready to join. We didn’t stop enlargement negotiations. I have appointed a commissioner for enlargement negotiations, Mr Hahn, and he's doing a good job”, was his reply. Several days later during a debate in the European Parliament Mr Juncker did however admit that his 2014 statement did in fact cause confusion in the Balkans and that the region is the most complicated in Europe. He appealed for a restart of the European integration process. Most leaders, however, concentrated on the external influence on countries of the region. According to Angela Merkel, the European perspective of the Western Balkans is there, but it is not unconditional. Currently, Russia and Turkey are trying to take advantage of the situation in the region, but the EU needs to continue with its projects. “I think it is very important that we make it clear that we as member states of EU not only take an interest in this particular region but want to draw it ever closer into the European fold”, was the message of the German chancellor. Italian Prime Minister Paolo Gentiloni also pointed out that there is no way to overlook the “fundamental interests of geopolitical factors” in the region. He believes the geopolitical risk and increase of other risks is absolutely plausible. “The problem is not when which country will join the EU. The problem is sending a clear message that the road to accession is open”, he said following the end of the summit on March 10. What does European perspective mean? Actually, despite statements, the European Council again is somewhat distanced in a situation that requires much more than a confirmation of the European perspective – a vocabulary, which had some meaning back in the distant year 2003, when it was used at the Thessalonнki summit. A lot has changed since then and the bets have risen considerably. It is a fact that most countries in the region are walking along the European path, but it is also true that instability has come back and with it the destabilising external factors. Geopolitical shifts in turn have reminded the European elite how strategically important they are for the continent. The EU blueprint for European integration does not work well in a region with so many inherited and unsolved problems, the main one being the constant pushing off of democracy and fallbacks to the past. It is also difficult to implement under such geopolitical pressure. Ten years after the Thessalonнki summit, when a full support was stated for the European perspective of Balkan states, there already was a need for restarting the process. The European enlargement commissioner at the time, Štefan Füle (Czech Republic, Socialists and Democrats), attempted to breathe new life into enlargement, for the process was practically completely stopped. His attempt turned out not to be too successful, because it was not supported loud and clear at the highest level – by the European Council, where Greece’s veto on negotiations with Macedonia brought the former Yugoslav republic to a failed state condition. 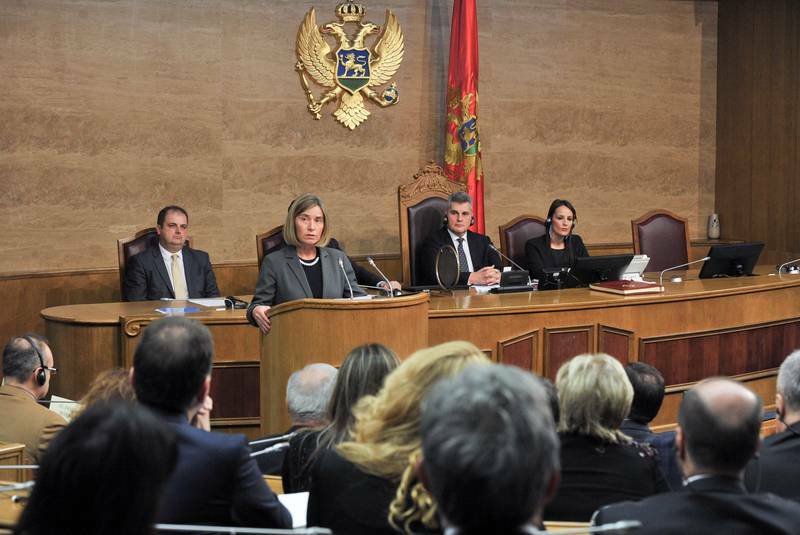 During her visit to Skopje Federica Mogherini established that the political crisis in the country could grow into an inter-ethnic conflict. A thing we all thought was avoided during the disintegration of former Yugoslavia. And now, instead of Macedonia being on the threshold of membership, or even a member already (it was supposed to begin negotiations in 2005 together with Croatia), the country is in a precarious situation. 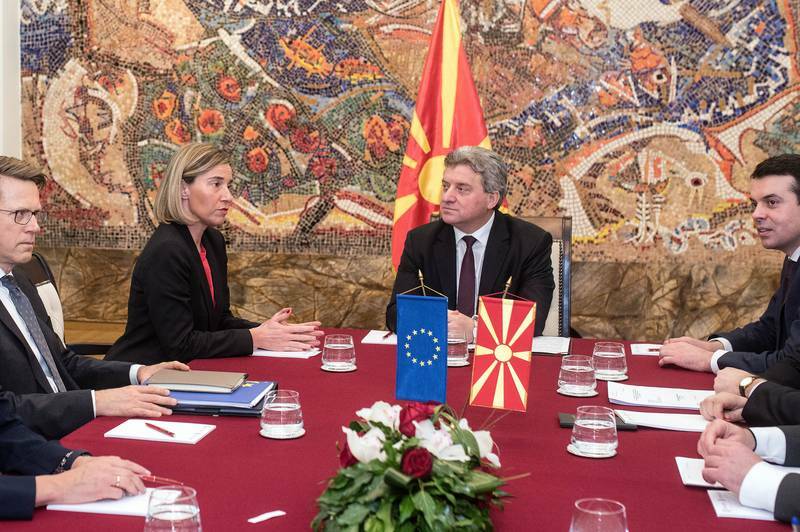 This is a lesson that could cost the EU itself dearly as well, not just Macedonian people. The EU slept through developments in Serbia as well, believing its mediation in the dialogue between Belgrade and Priština is a totally sufficient condition for dealing with the situation. However, this is a dialogue that could go on endlessly if the final goal is not talked through – recognition of Kosovo or something else? If it is something else – what would it be? Such procrastination of making a decision on an issue that is constantly fuelling the fire and being used by irresponsible politicians for gaining electoral dividends will later be paid with interest on top. In Montenegro, the EU found itself in the uncomfortable position of choosing between a democrature with a pro-European facade and Russia. And having Kosovo be the sole problem for the EU in Serbia, the Union slept through the ticking bomb in Bosnia and Herzegovina. In this sense, closest to a real assessment of the situation was the Slovak Foreign Minister Miroslav Lajčák, who stuck a finger in the wound – we are pretending to be integrating them and they are pretending of being integrated. As this website has reported on numerous occasions, the current accession blueprint just does not work in such a complicated and geopolitically loaded environment. The EU will have to do much more than agreeing on a declaration, reaffirming the European perspective of these countries, whose leaders are using this perspective only for electoral purposes. First off, an end must be put once and for all to the power of veto of a single member being used as a tool for resolution of bilateral issues. A second step should be the increased presence of high-ranking European officials, who are to talk in detail about what the EU is already doing for citizens. 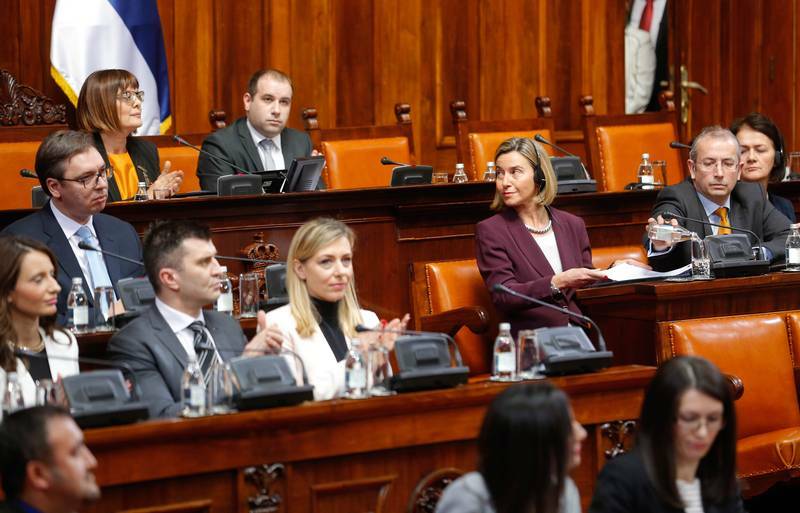 Such an attempt was made by Federica Mogherini, when she explained in the Serbian parliament what the size of European investments in the country is. Later, the Serbian PM added to her statement by saying that Germany alone is providing jobs to 33 thousand people in Serbia, Italy – 23 thousand, and Austria – 20 thousand. The EU is the most secure market, further stated Mr Vučić. The decision of Mrs Mogherini to address predominantly the young and the civil society is a good idea, which needs to be continued, but this does not discard looking for an approach towards the political elite as well. The EU also needs to consider investing in a medium, which would have its own profile and which would be working in the local languages, similar to already existing Al Jazeera Balkans and N1. The function of this medium needs to be fighting the disinformation and Russian propaganda by providing correct information about the EU, the enlargement process in detail, European investments in these countries, the movement of local citizens towards the EU, their educational opportunities in the EU etc. This is the best way of ensuring more visibility of the EU in this region. The EU is about to enter a new phase of discussing its future. This debate has to be carried through at the highest level in the six Balkan states as well, so that opposition forces and the civil society can be drawn into it. Lastly, European parties and political leaders need to quit supporting failed politicians and parties. This never ends well. Last but not least, the situation in the Balkans needs to be monitored on a much more regular basis than it currently is and reports are to be made to foreign ministers and leaders in the European Council at each of their meetings. The EP foreign affairs committee is inviting high-ranking representatives of some countries more and more often, but much more can and needs to be done – plenary hearings of these countries’ leaders, the opposition, and members of the civil society following what is being done regularly for Hungary or Poland. This would allow for hearing points of view, which are being silenced by the controlled media environment in these states.